Regular Tree Service | Is it a Good Idea? A Tree Services works with many clients that are on a monthly contract. So when high winds blow through your location, we will be there the next day to clean up your yard first, which means you get priority, and pay less because the damages will likely be less than your neighbors because your property’s trees are kept up. Often property owners let trees go for years, then suddenly they call a professional because of a notable visual decline of a tree. At this point, it is usually too late to save the tree and it will need to be removed. Which will be much costlier than if the issue was detected sooner and treated. Also, if you are dealing with EAB or Oak Wilt there are high chances your other trees have been infested. So, what could have been an affordable tree injection now has turned into 3 trees that have to be quarantined and disposed of. If you have a beautiful yard full of gorgeous trees, they will need to be maintained. Our company ensures our regular clients have elegant looking trees at an affordable price. Keeping your neighbors and finances happy. We all have insurance for a reason because if the unimaginable happened, we will have a way to deal with it. Though insurance can help, it can not prevent an issue from happening. Our Regular Tree Care Services can, when it comes to your trees. Our team ensures branches are clear of power and utility lines, not causing any visual blockages and won’t drop to the ground due to poor conditions. 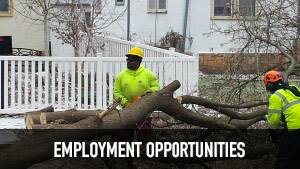 This entry was posted in Tree Care Services MN and tagged Affordable Tree Service, Benefits of Regular Tree Services, Boost Curb Appeal, Regular Tree Service. Bookmark the permalink.